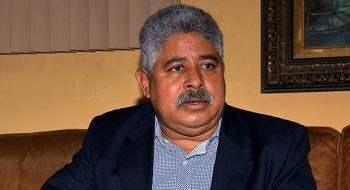 The presidential adviser, Marvin Ponce, stated in an interview that nothing can stop Hernandez from seeking reelection if he were to run. M.P. : Nothing can stop Juan Orlando. 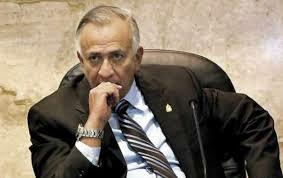 Journalist: What about Ricardo Alvarez (one of the Vice-Presidents, 1st vice-president)? M.P. : No, Ricardo Alvarez lost part of his base and his political moral compass, but he’s continued being a great leader, a strong leader inside of the National Party, and I imagine that sooner or later he’ll align himself with the president. M.P. : Yes, political morals, because he hasn’t had much political support in the current government, many leaders who followed him decided to go with Juan Orlando and left him behind. Journalist: What are Mauricio Oliva’s (president of the National Congress, also a strong Nationalist) aspirations? M.P. 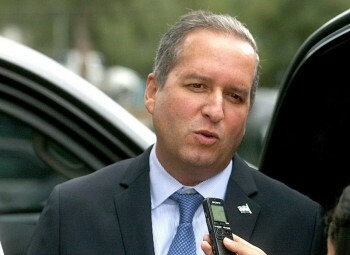 : Mauricio Oliva has heart problems and I don’t believe he could lead a national campaign. Journalist: What does that mean, heart problems, and what would happen if he gained the candidacy? M.P. : His heart could explode and we could have a dead president, and I’m saying this because he’s had 5 open heart surgeries, and he has heart problems, Mauricio is a great person and a great man but with his condition he couldn’t win this type of election. Journalist: If you were told he was the candidate, would you approve? It would appear that Ponce thinks Hernandez is the candidate to beat, for anyone in the National Party who wants a shot at the presidency. Do you agree?